Victim struggled briefly with the suspects until a newspaper rack was forcefully pushed into him, at which time the suspects ran, cops say. NCPD are investigating a Robbery that occurred in Hicksville on Monday, June 26. Hicksville, NY - June 26, 2017 - The Second Squad is investigating a Robbery that occurred in Hicksville on Monday, June 26, 2017 at 12:34 am. According to detectives, a 49 year old male employee at the Mobil Gas Station located 285 North Broadway was assisting a male subject open an outside bathroom door after he had complained the key issued to him would not open it. It was at that time a second subject was observed by the victim enter into the gas station and removed an unknown amount of US Currency from the cash register. A brief struggle ensued with the victim as both subjects fled on foot with the proceeds. Subject two forcefully pushed a newspaper rack into the victim. The subjects were observed running east towards East Bethpage Road. Subject one is described as being male, Hispanic / Middle Eastern, 5’8” tall, thin build, white v neck t shirt, dark shorts. Subject two is described as being male, Hispanic / Middle Eastern, 6’0” tall, average build, black beard, white sweat pants, white t shirt, and a dark bandana covering his mouth. 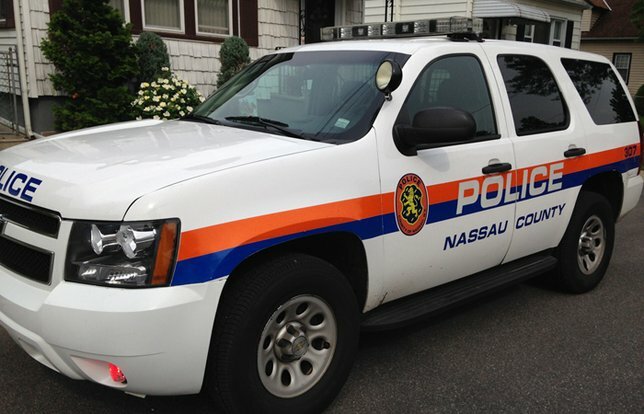 Subject: LongIsland.com - Your Name sent you Article details of "Nassau Police Investigating Robbery of Hicksville Gas Station by Two Suspects"